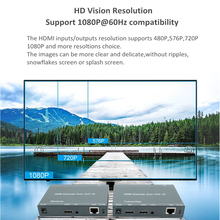 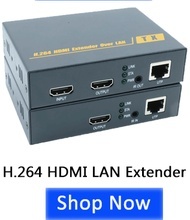 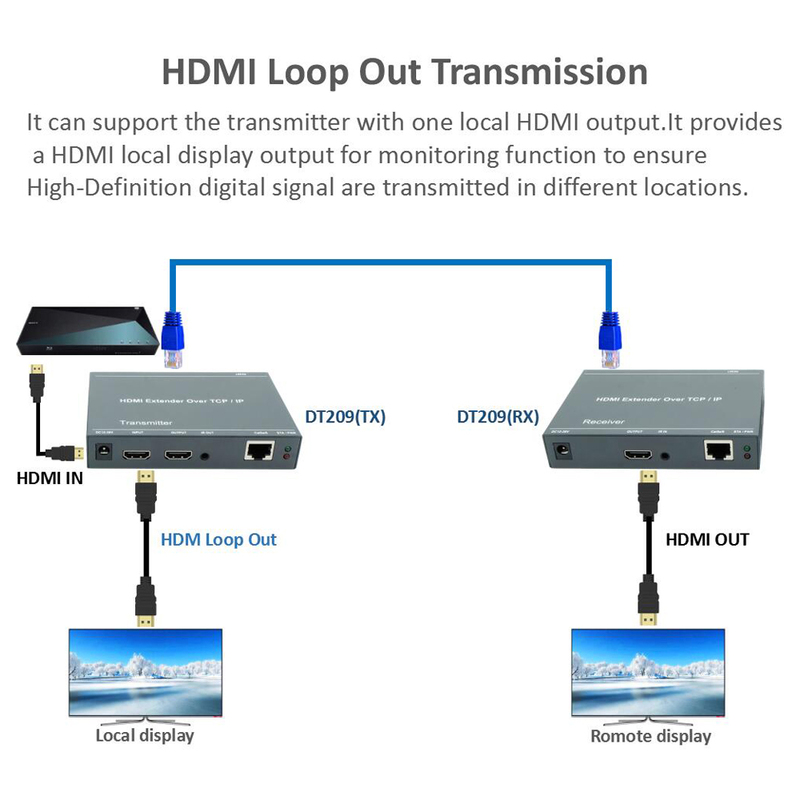 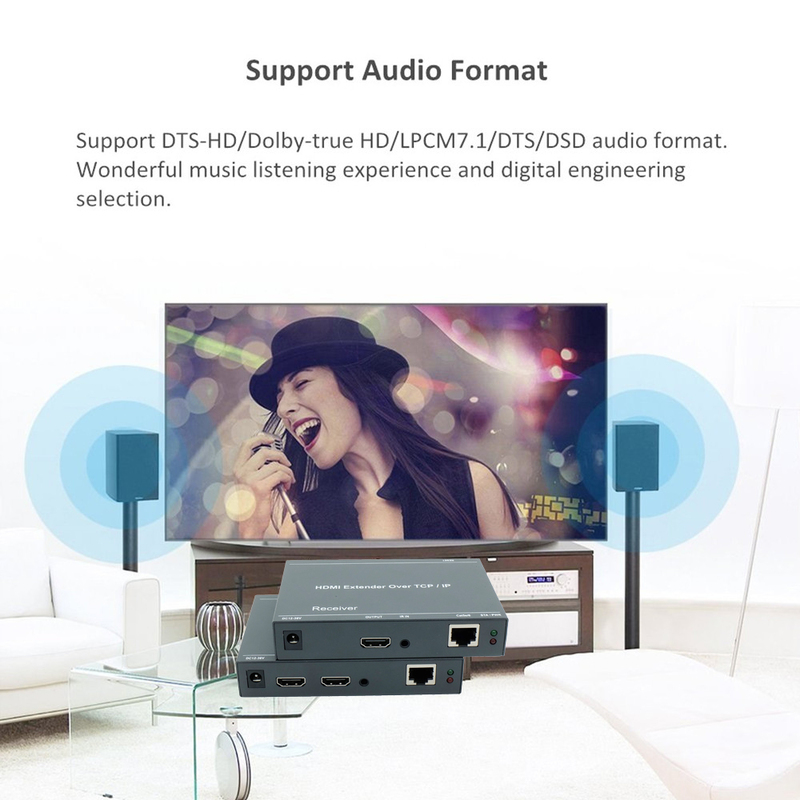 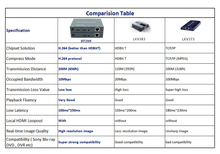 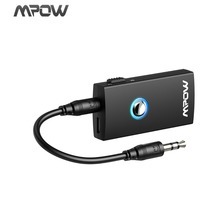 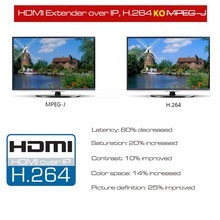 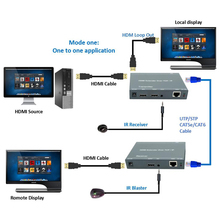 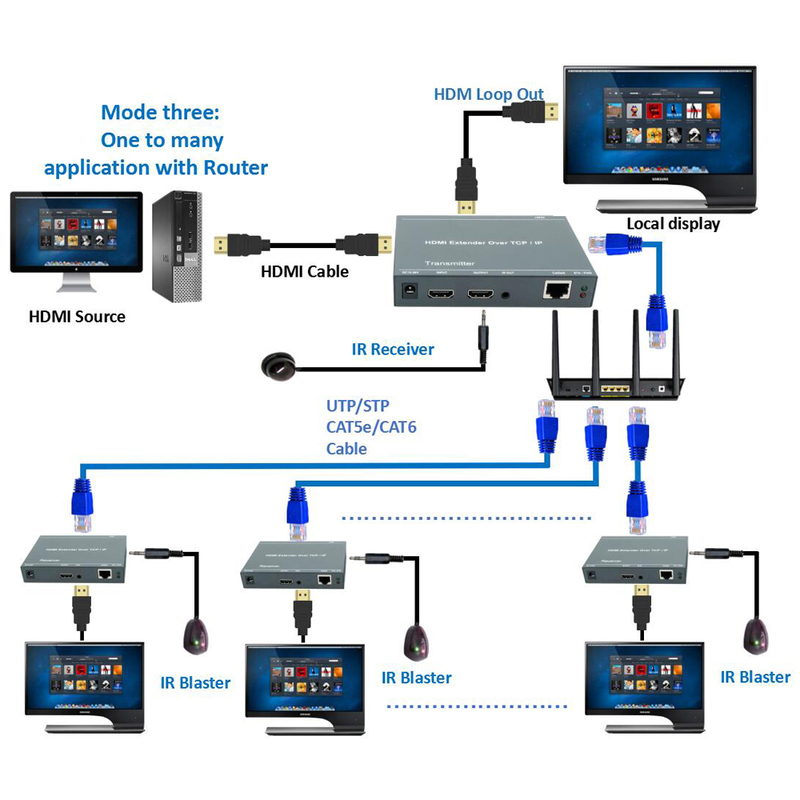 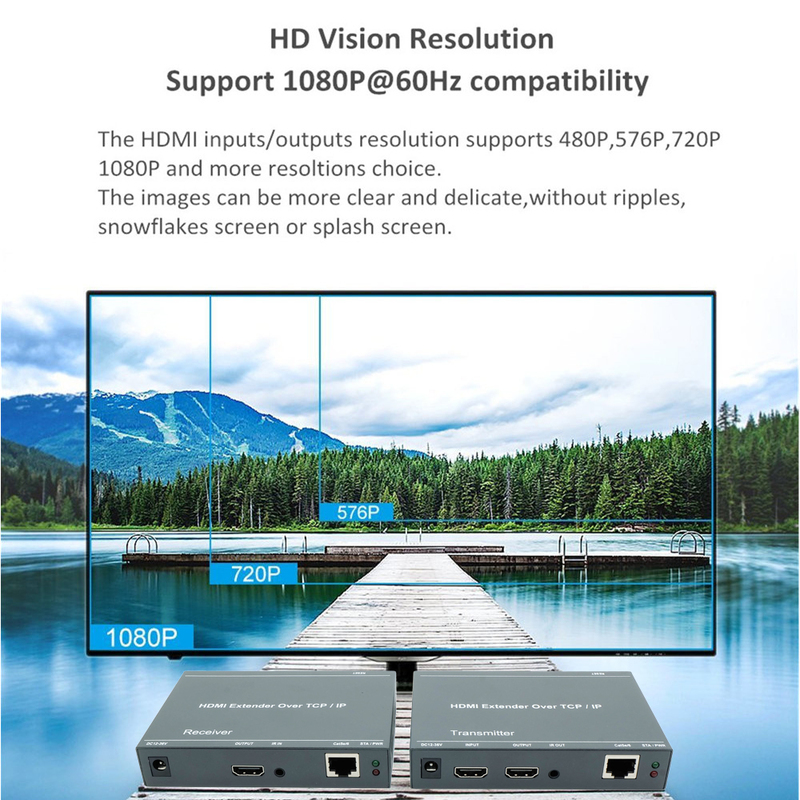 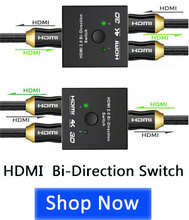 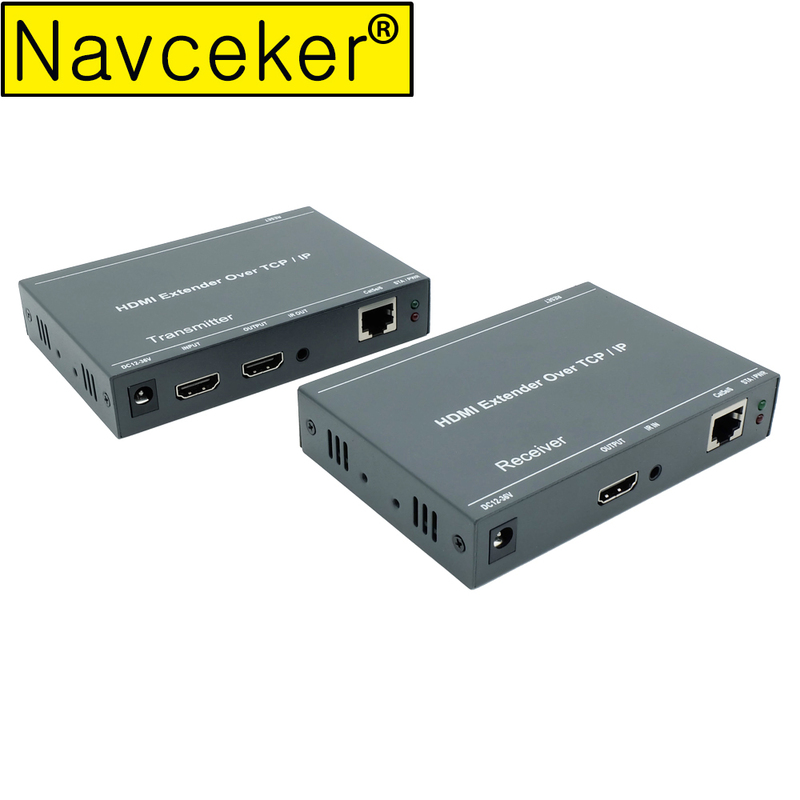 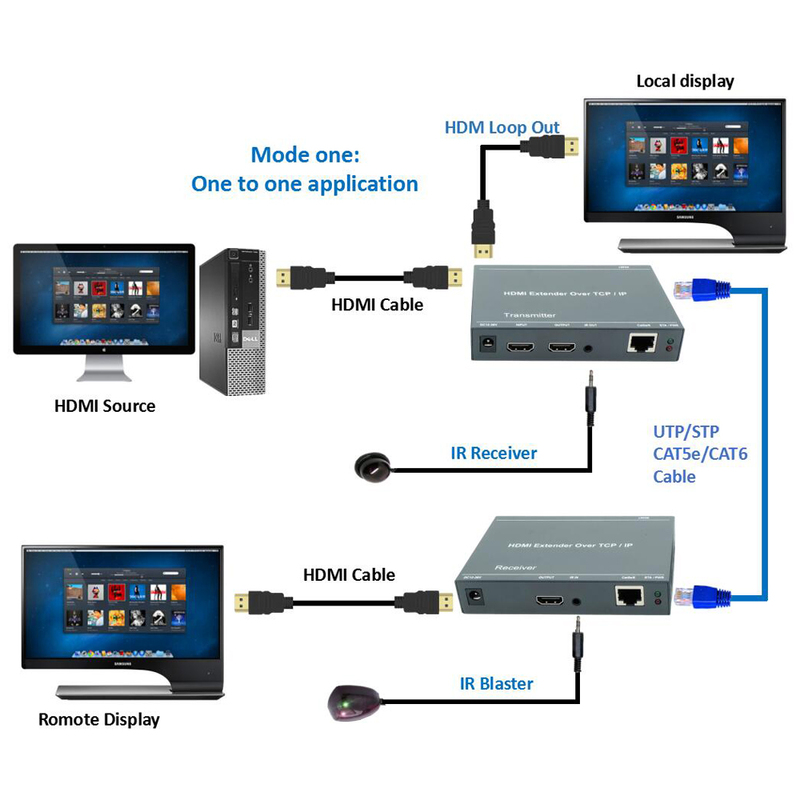 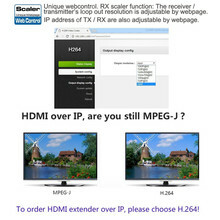 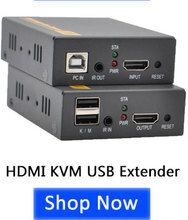 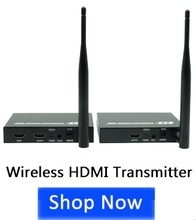 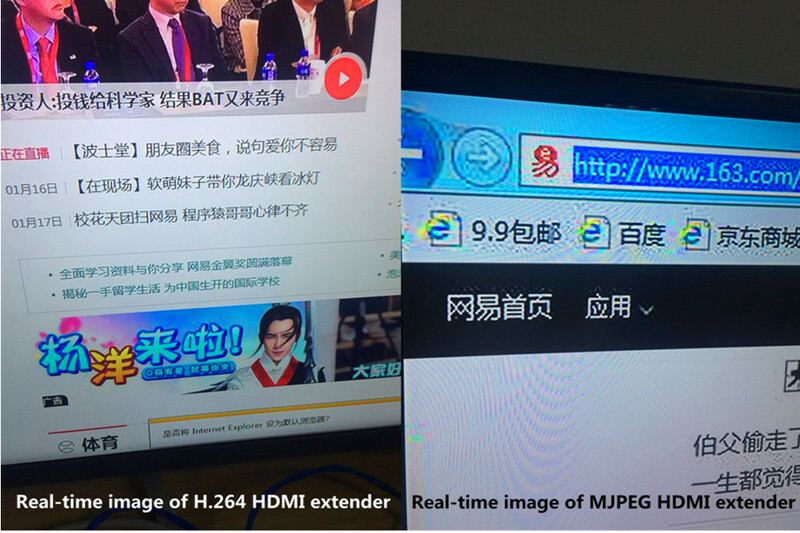 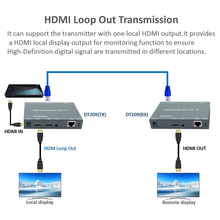 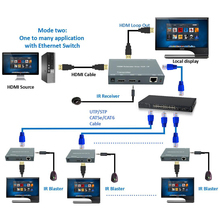 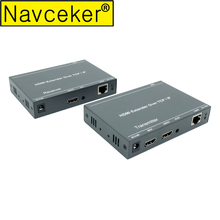 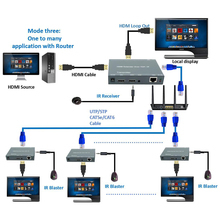 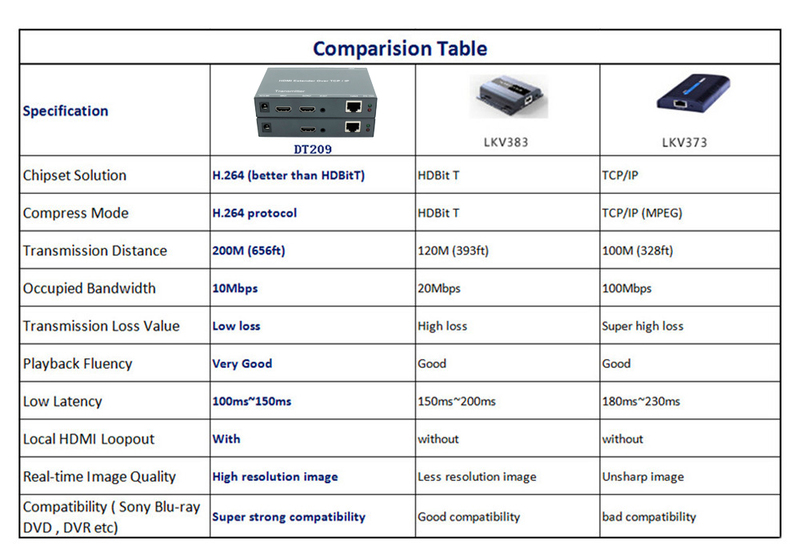 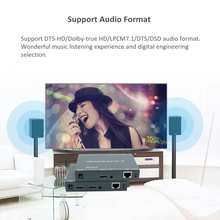 ZY-DT209,Navceker H.264 HDMI extender provides extension of HDMI signals long distances over a single CAT5/5e/6 cable, it supports high resolution up to 1920×1080@60Hz, HDMI loop out and unidirectional 20~60 KHz IR signal transmission. 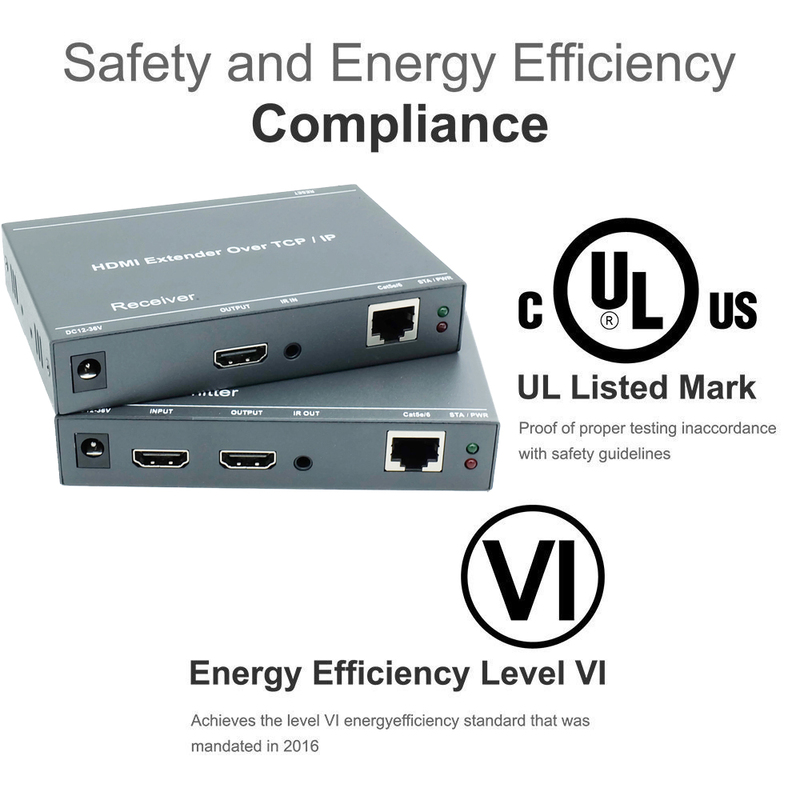 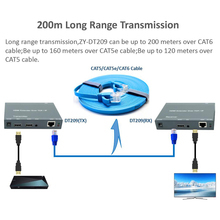 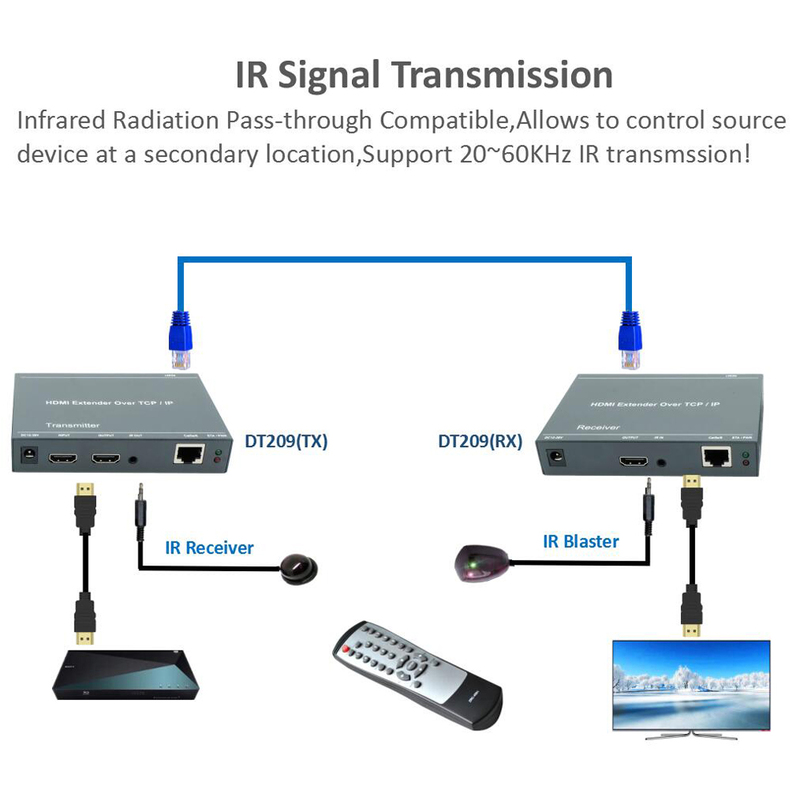 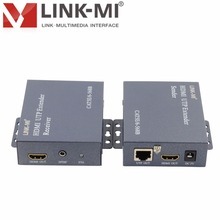 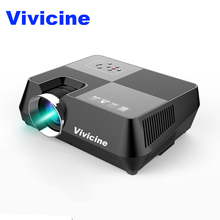 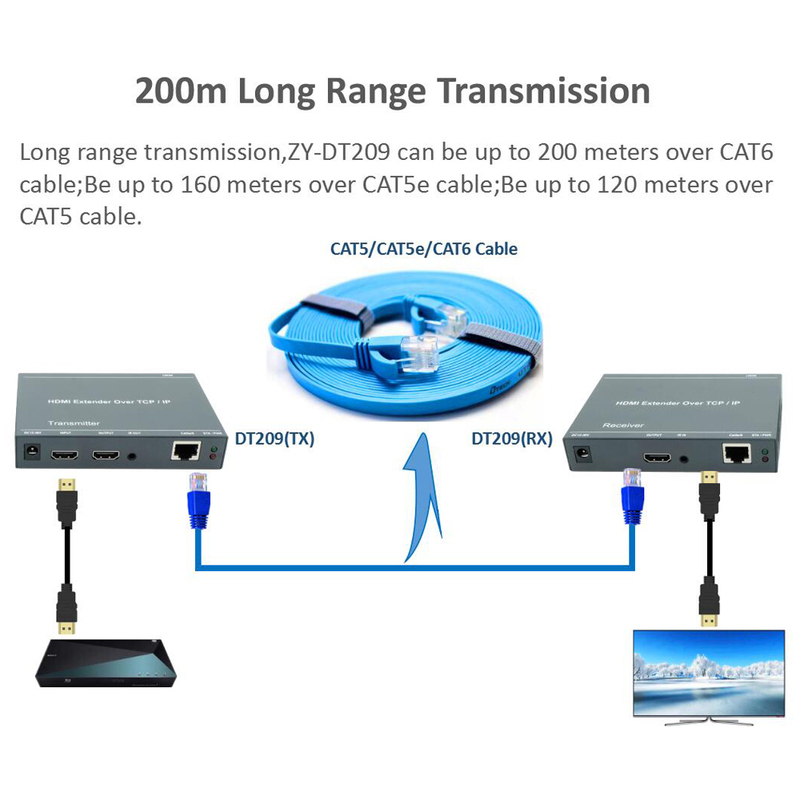 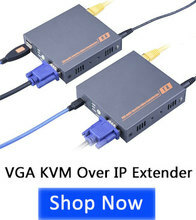 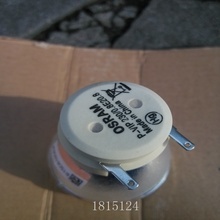 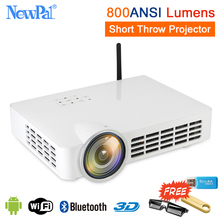 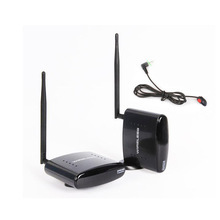 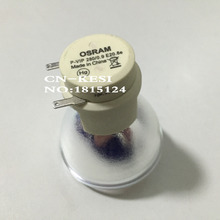 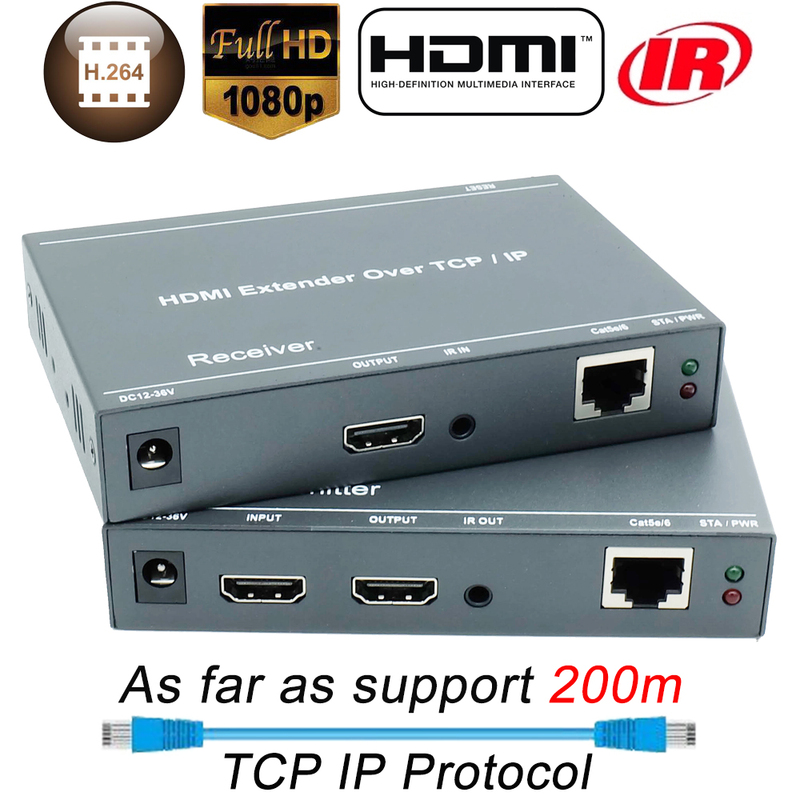 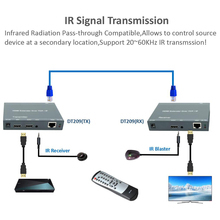 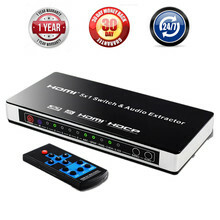 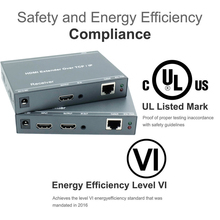 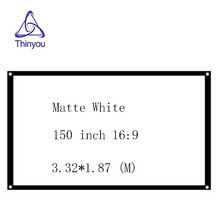 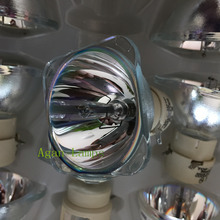 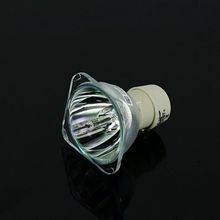 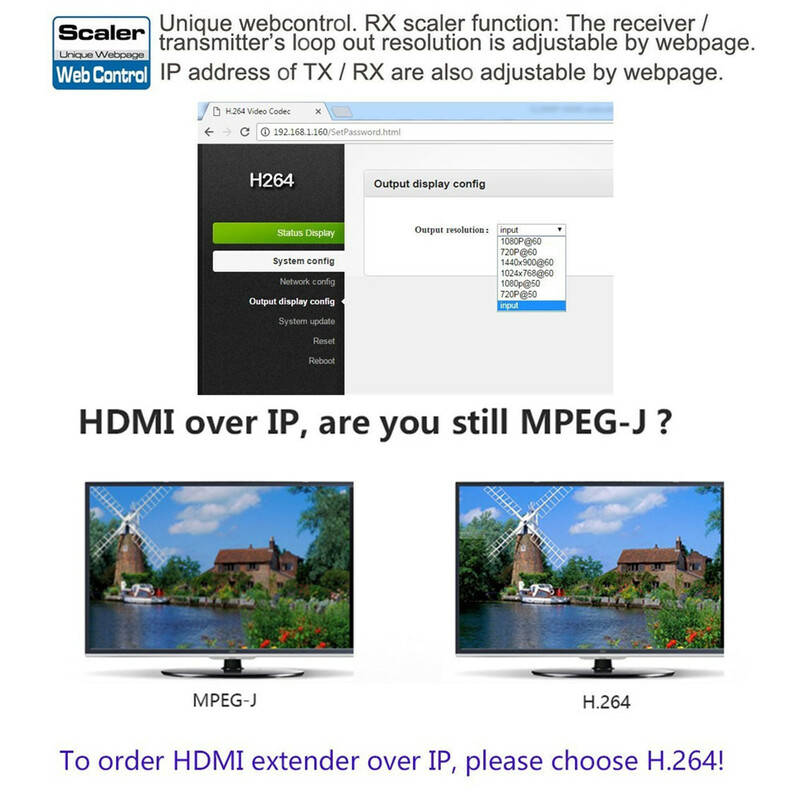 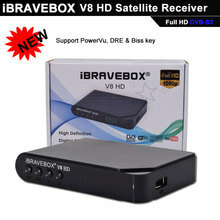 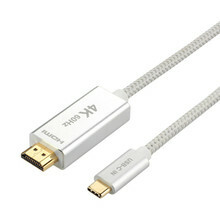 The extender can use for a wide range of applications requiring long distance transmission of high resolution with high quality by its good stability and powerful security. 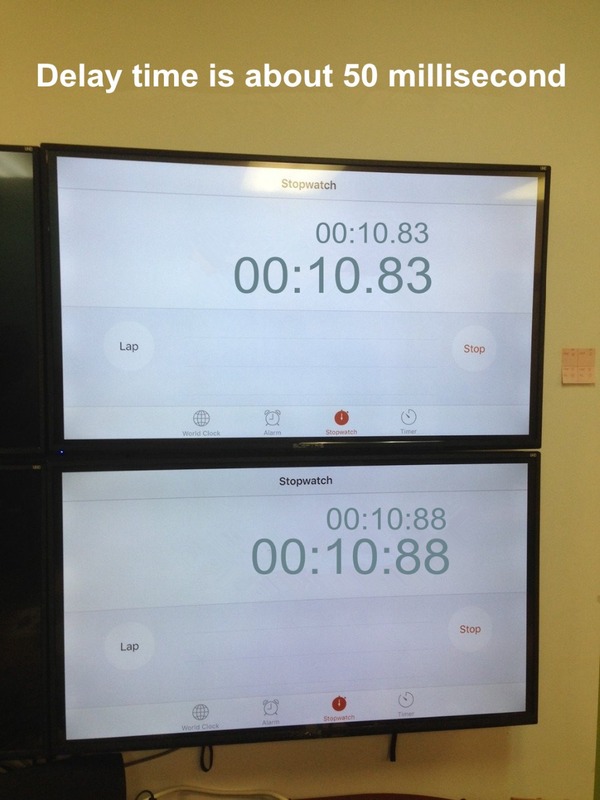 Low latency: less than 50 ms.